Just a few reasons on why own a Woodie? Powerful - remember the muscle cars of the 50s, and 60s? These boats had lots of power too. Usually appreciates in value while you use it. If you'd like to know more Contact Us about our wooden boat ride and informational package. Financing is available whether your boat needs a full restoration or an extensive repair. Contact our senior lenders at the Bank of Jamestown 270-343-3186. Some banks have no knowlege of the value of antique or classic boats and are reluctant to lend money for their purchase and/or restoration. However, The Bank of Jamestown, is familiar with our business. 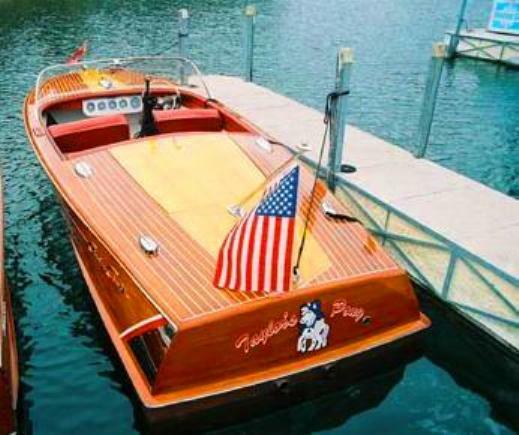 They recognize the value of a well restored wooden boat and are confident in the quality of our work here at Woodies Restorations. Contact The Bank of Jamestown for more information on financing your wooden boat purchase.